See why the west coast is the best coast on this 9-day road trip through the most visited cities in the Western United States with all accommodations included! You’ll cruise down the iconic California Highway 1, traverse the Mojave Desert, and wind through scenic mountain passes as you check off your must-see list: San Francisco, Monterey, Los Angeles, Las Vegas, Death Valley, Yosemite, and more! Some nights you’ll camp overnight under the stars and roast marshmallows, while others you’ll go out on the town to check out some of the USA’s greatest food and nightlife - this road trip is truly a once-in-a-lifetime experience. 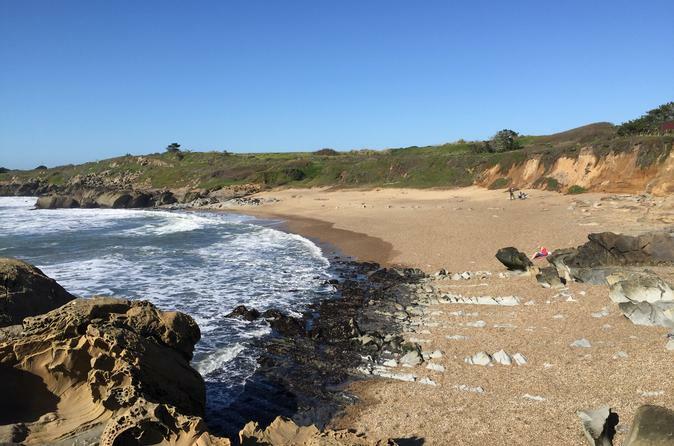 Head south along the beautiful Pacific Coast Highway through Santa Cruz to Monterey. Check out what's beneath the water at the Monterey Bay Aquarium*, and visit historic Cannery Row and Fisherman’s Wharf. You'll sleep under the stars near Big Sur. Enjoy stunning views of the Pacific Ocean on a hike through Point Lobos State Reserve before heading south to Julia Pfeiffer Burns State Park. See one of the most beautiful waterfalls on the Pacific Coast, McWay Falls. Next, head to San Simeon to see the sea lions! You'll camp near SLO. Rent a stand up paddleboard* or just relax at the beach at the American Riviera: Santa Barbara! Stroll through the many boutiques along State Street, or visit the Old Mission Santa Barbara. Finally, get ready for the City of Angels and a tour of Hollywood before heading to your hostel in LA. See the LA sights before heading off to Sin City! Drive into the Mojave desert and into the Silver State, Nevada. Enjoy a driving tour of the famous Las Vegas Strip, and then dance the night away in one of Vegas’ epic clubs, or try to win big at one of the Strip’s mega casinos! Explore what Las Vegas has to offer. If gambling's not your thing, check out the Neon Museum*, The world-famous Gangster Museum* and more! If you’re looking for further adventure, check out the amazing Grand Canyon* on an optional partner tour! Death Valley is a rift valley and home to the United States’ lowest point, the scorching Badwater Basin. After traversing the valley, you’ll head off to the eastern side of the magnificent Sierra Mountains and our campsite. Get a view of Mono Lake before climbing to the top of Tioga Pass and Yosemite National Park. Hike in high country, dip your toes in Tenaya Lake, or check out the backside of Half Dome at Olmsted Point before heading down nearly 6,000 feet of elevation to your campsite. Whether you’re biking through the valley, hiking from Glacier Point, following the Mist Trail and its many waterfalls, or strolling through meadows searching for wildlife, you're sure to have an amazing day in Yosemite National Park. Head through California Gold Country and the Central Valley to San Francisco. Join your group on an optional sunset sail* under the Golden Gate Bridge before saying goodbye to your travel family. *optional activities not included in tour price.